Image: A man types on a computer keyboard in Warsaw in this February 28, 2013 illustration file picture. REUTERS/Kacper Pemper. Last year, we spoke at Davos about Big Data. We were excited to explore the challenges and opportunities; especially in regards to the 2030 roadmap for the Global Goals (Sustainable Development Goals). So, a year on, has big data caught on? 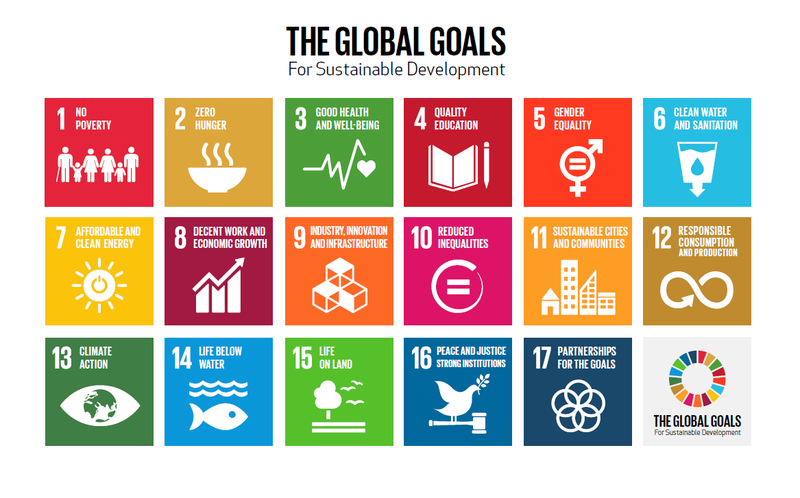 In 2015 we kick-started the Global Goals, with a special emphasis on data. The main development organizations came together, and the goals and targets were approved. Stakeholders collaborated and shared their experiences. Excitingly, big data remained a central component of these conversations. The data4sdgs.org partnership was announced, of which the World Bank Group is an anchor partner and, we have committed US$ 20M for an innovation fund. This partnership will work to ensure big data analytical approaches are not just being used to increase the efficacy of development programs, but that we are using these approaches to monitor and ensure that programs are effective and truly reach those living in extreme poverty. The excitement around the SDGs and the many ways we can use data science to improve our delivery extends into many facets of our work. For instance, as we continue to pursue our own twin goals, we also include the SDGs seamlessly. But, the most exciting thing? Much of the work done by the Bank, and our partners, relates to innovation delivery, particularly with data. One year ago, the Innovations in Big Data Analytics program in the Bank’s Innovations Labs where I work was just beginning to reach people with this message of dedicating resources to data science. Now, it seems to have stuck. This year we came back to Davos not just with the messages, but with a full portfolio of projects implementing data science into their programs as well as a growing array of stakeholders, and many lessons learned. For example, we recently demonstrated how cadaster map creation in Kosovo supports women in defining their rightful land rights, and rebuilding their communities. The program not only significantly reduces cost and time, but includes many people in the community to ensure equality and transparency in the process. Such an approach could be used towards mapping conflicts, disasters, or disease outbreaks. Our Innovation Labs Big Data Innovation Challenge winners are mapping traffic patterns of taxis to improve congestion in the Philippines, and using satellite data to monitor the progress of electrification projects in India. Another interesting big data we have embarked on is using social media sentiment analysis to inform better decision making. Across the world, the explosion of Twitter, Facebook, blogs, Youtube as well as online media outlets has provided us access to an incredible amount of data that directly reflects what citizens want, feel, lack, or need. Although in its nascent stages, we have begun to work with different programs to analyze sentiment in targeted regions to aggregate this data, spot trends in citizen responses, and create more informed and better policies. Importantly, being in Davos, I realized that we at the Bank are not alone in our dedication to ensuring data science is at the center of our work to end extreme poverty and better the lives of our fellow citizens. For example, the Forum narrative this year explores the so-called 4th Industrial revolution, where the confluence of many transformational shifts (such as big data, shared economy, machine learning, etc.) can fundamentally shape progress in the coming years. Indeed Klaus Schwab, Chairman of the World Economic Forum, has dedicated this Annual Davos meeting as “Mastering the 4th Industrial revolution”. Operational innovations such as data science are of the utmost value to our clients and to ensuring the end user has a better life. Data science is but one way in which innovation can improve lives and better our programs. As we continue our path to deliver operational innovation, Davos helps us share and learn from the collective effort we are making towards achieving the Global Goals by 2030. This post first appeared on the World Bank Voices blog.